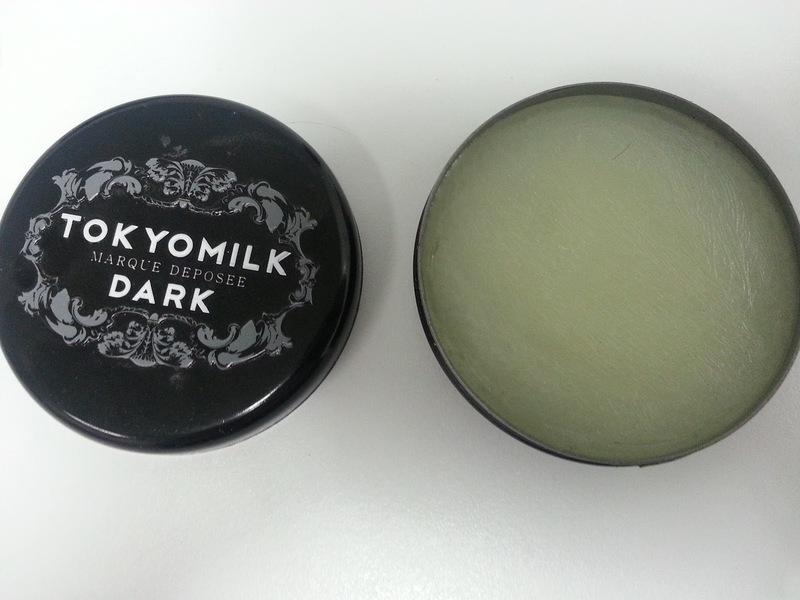 My Boyfriend Hates Makeup: TokyoMilk Dark Femme Fatale Lip Elixir - Salted Caramel No. 36 - Yumm! 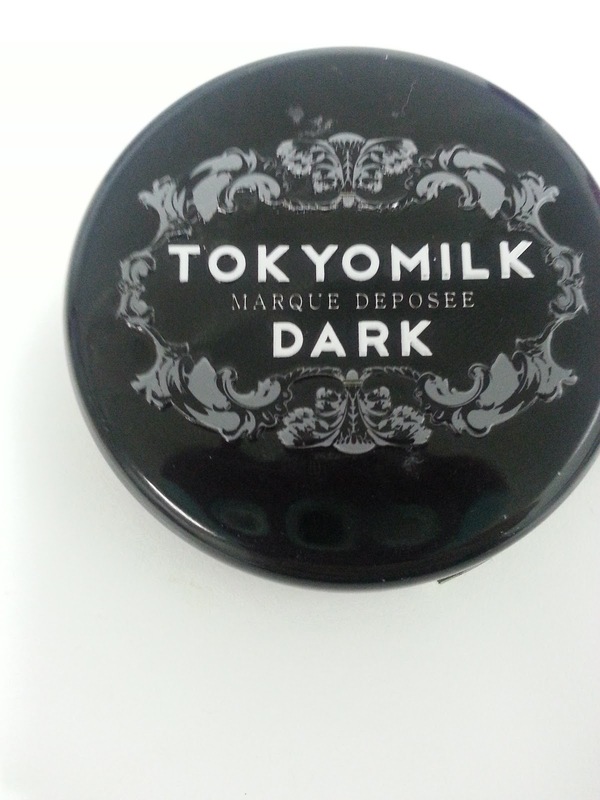 TokyoMilk Dark Femme Fatale Lip Elixir - Salted Caramel No. 36 - Yumm! During my birthday splurge in August, I picked up a Tokyo Milk Dark Femme Fatale Lip Elixir in No. 36-Salted Caramel. Sephora describes it's notes as: ""Sweet Cream, Sea Salt, Caramelized Sugar, Toasted Vanilla Bean." They could've saved themselves some word space and just used one word: HEAVEN. I am not kidding. It is a rich, heavenly, dense scent. It is almost too sweet - I can't use it before lunch time before I don't like sweets before then, LOL. It's literally one of the most potent products I've come across. Yummmmmm. The texture is unlike other lip products I have, and believe me, I have more than a few. I've probably mentioned more than once that primers and lip ANYTHINGS are my favorite products to try. It is almost as if a rubber, protective coating is smeared across the lips. Sounds weird, right? I mean that in a good way, a really good way. You can literally feel it working and sinking into your lips. My only complaint about this product is the tin itself. Although it is a nice, open package that will allow me to get to every bit of the product, it is one of those pop-open tins that you have to wrestle with to open every time. The edge has a little ridge you have to pop open. This packaging is NOT friendly to someone who adores a chip-free mani! I actually Facebooked them for suggestions of other products in JARS and they did get back to me. If it is the same formula, I will def repurchase in a jar. In the meantime, I pretty much have to ask my boyfriend to open it for me, and he gets annoyed and rolls his eyes every time. I may have to de-pot and re-pot some of this into something a little more user friendly...and as I type this, I am sitting here laughing at myself. I can't be the only one! Let me know I'm not crazy!!!! Do you prefer products in tins, jars, pots, tubes, and why?!?!!?!? Leave me comments or FB me! i have been craving this product for eons. i need it! i love everything they make, and they do make a lip balm in a jar, which is ok, but this, this i want!